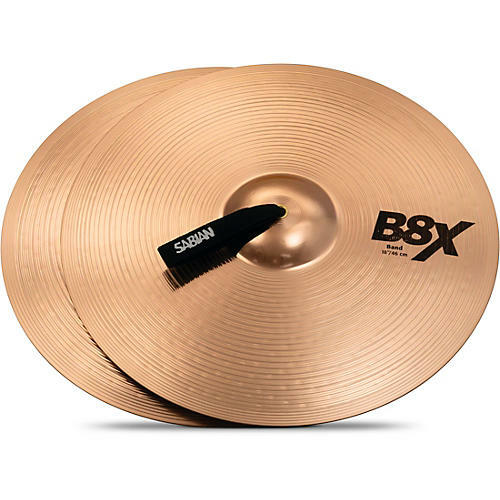 Designed for budget-conscious musicians and schools, new Sabian technology, low profile and B8 alloy combine to deliver a high-pitched suspended model with rich, airy sound. North American Warranty Sabian cymbals are guaranteed against defects in materials and workmanship for a period of two years from the date of purchase on all Sabian series except Solar by Sabian which has a 6 month warranty period If after inspection by Sabian personnel it is determined that the cymbal failed under normal use, a replacement cymbal of the same size and series will be provided free of charge. To obtain warranty service, ship the cymbals prepaid along with a copy of the dated proof of purchase to the following; In the USA. Sabian Inc, 100 Enterprise Drive, Marshfield, MA. 02050 Please call 1-800-81-SABIAN and request an RA # Please allow 4-6 weeks for processing and return shipping. The above pertains to Sabian cymbals purchased in North America. As warranty laws vary from country to country, you will need to check with the dealer where you purchased the cymbal for warranty details in any country outside North America, as the warranty is administered by the Sabian distributor in the respective country. Warranty replacements for cymbals purchased in Canada and the USA can not be shipped outside the USA and Canada.